As fall approaches and shopping for those perfect autumn sweaters heats up (pun intended) .... I'm not just perusing the pages of glossy fashion mags. I'm also deeply mired in the world of 1930's English aristocrats, balls and coming out parties, as I reread my favourite Nancy Mitford novels. I'm a bit of a Mitford fanatic ("Ha"...my husband scoffs... "A bit??!") Okay, a huge Mitford fanatic. I'd never even heard of the Mitfords until my good friend BB introduced me to them back in the 90's. And then like a flame to dry tinder, I was alight with a burning desire to read all things Mitford. (Apologies for the dreadful metaphor...or do I mean simile?) I read all of Nancy's fiction, then a biography of the Mitford sisters by Mary S. Lovell, then various and sundry non-fiction centered around the Mitford world, their relations, friends etc etc. Uncle Matthew, whose famous rages are juxtaposed with his reaction to seeing Romeo and Juliet on stage for the first time: "He cried copiously and went into a furious rage because it ended badly. 'All the fault of that damned padre,' he kept saying on the way home, still wiping his eyes"
And Fanny's mother, dubbed the "Bolter" due to her inability to stick with a husband for any length of time: "...nobody knew if her name was now Mrs. Rawl or Mrs. Plugge. 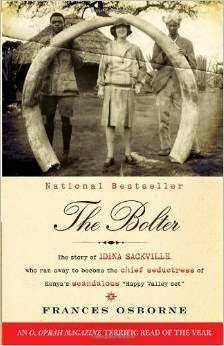 Rawl had been a white hunter, the only husband she had ever lost respectably through death, having shot him by accident in the head during a safari." Nancy's characters are wonderful. And her wit and style are wonderful, too. You can almost hear the Bolter's drawl: "Oh Matthew, dulling...."
"How I shrieked when I first read The Pursuit of Love...there we all were...Mitfords renamed Radletts, reliving our childhoods as seen through Nancy's strange triangular green eyes"
After the first two novels I read the biography The Sisters: The Saga of the Mitford Family by Mary S. Lovell. It was fascinating and only served to spark my interest in the Mitford's wide circle of friends and relations. I've read a couple of memoirs written by the youngest Mitford sister, Debo, who became the Duchess of Devonshire and lived at (and helped revive the fortunes of) the famous Chatsworth estate. 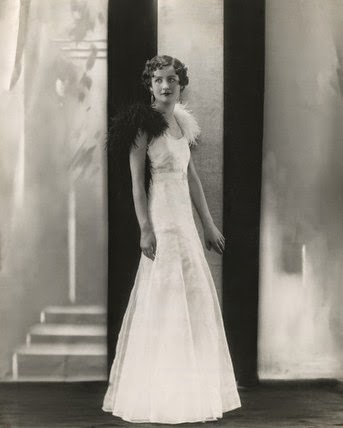 And this past year I read the biography of Idina Sackville, written by her great-grand daughter Frances Osborne; Sackville was a real-life "Bolter" and the inspiration for Nancy Mitford's Bolter. Now... I'm immersed once more in Mitford land. I just finished reading The Pursuit of Love and Love in Cold Climate... again. 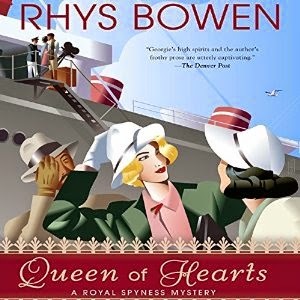 And to ensure my absolute immersion in the world of 1930's aristocrats... while I'm on my exercise bike or staggering along on my morning power walk, I'm currently listening to Rhys Bowen's latest mystery Queen of Hearts on my i-pod. Bowen's "Royal Spyness" books, set in 1934 and featuring the character Lady Georgiana Rannoch, 34th in line for the throne of Great Britain, penniless aristo and sometime detective, are light, but well written and good fun...especially when read so brilliantly by Katherine Kellgren. And Georgiana's infamous mother is also a "Bolter." Oh dear...too many Bolters. And when read by Kellgren, this Bolter's drawl ..."Oh dulling..." sounds exactly like I had imagined it would sound. I'm not sure what it is about this time of year which makes me yearn for those old favourites. 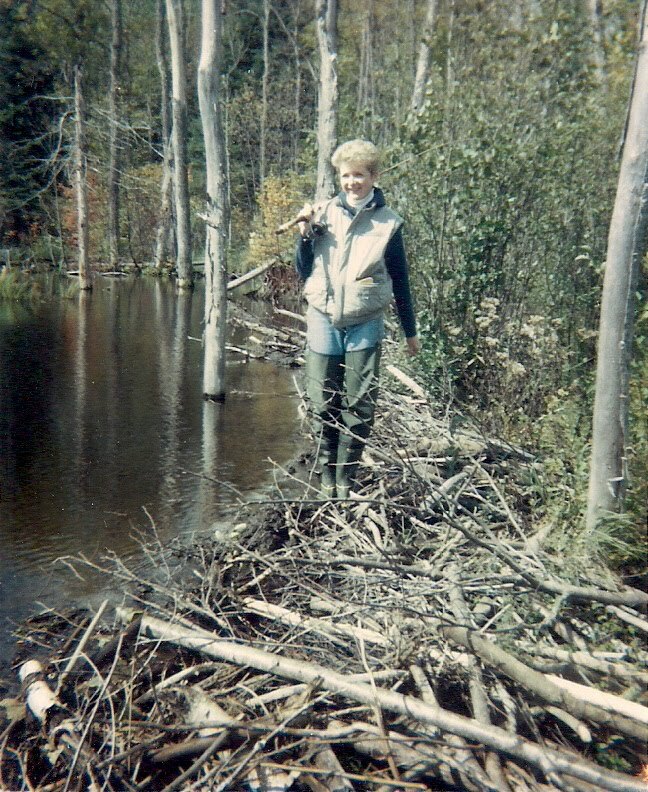 Perhaps the impending start of school makes me long for structure? Certainly the world of upper class England in the 1930's was nothing if not structured. Perhaps I yearn for those late autumn afternoons of reading, a cup of tea at my elbow, in front of a crackling fire, as rain slashes across our windows. These books and the world they depict are so very cosy. And perhaps it's my subconscious yearning.... longing, even... for season five of Downton Abbey. The settings, the characters, the storylines..... the dresses. Now ...if Julien Fellowes would only create a character called the Bolter...I could be completely happy. Well...as happy as possible now that Holt Renfrew in Ottawa is closing its doors. Sniffle. I must read the mystery writer. Do I see trips to The corner of rue de la Montagne and Sherbrooke, Montreal in the future? Wow...you DO see into the future! I don't see any other option...sigh. OK, now I have to get on the Mitford wagon. I'm woefully behind the curve here. I've cut my teeth on Evelyn Waugh, now ready for the pudding. Oh yes...do read The Pursuit of Love first and the Love in a Cold Climate. They made me laugh out loud in places. I must tell you that I have just found your blog and I am so enjoying your writing. 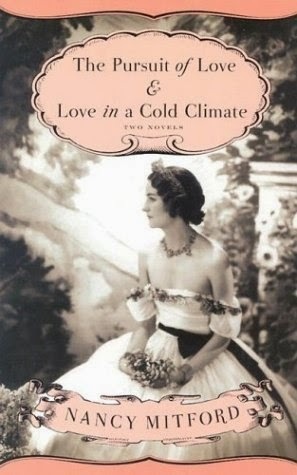 I must add Nancy Mitford to my "must read" list of books. The one good thing about this long weekend in Canada (the unofficial end of summer) is that we are closer to the new season of Downton Abbey. Well, thank-you, Elizabeth. If you like Downton...I think you will like Nancy Mitford. And you`re right...end of summer means only a couple of months before the new season of Downton. So excited to read of another Mitford fan! Two of my all time favorite books. 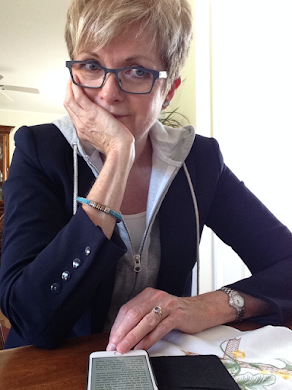 I am delighted to have found your blog and to read your book and fashion posts. Please keep them coming! I am also a mystery fan and glad to learn about some authors that are new to me! Why thanks....and thanks for stopping by. i've been a big mitford fan most of my life. of course THE PURSUIT OF LOVE and LOVE IN A COLD CLIMATE are the jewels in the crown. but i've also loved HIGHLAND FLING, WIGS ON THE GREEN, THE BLESSING, CHRISTMAS PUDDING and PIGEON PIE. other favorites of a similar nature are COLD COMFORT FARM ("i saw something nasty in the woodshed") and I CAPTURE THE CASTLE. love 'em all! I think I've read most of those other NM books as well. And loved them too. I must try I Capture the Castle. Glad you are enjoying Stuart Pawson. I know it can be a pain to comment. Google profile is easiest...but make sure you highlight and copy your comment before you log into Google because when the comment box reappears sometimes it's empty. Most frustrating. I now type my comment, highlight and copy, click publish, log in and then paste my comment., then click publish again. Not sure why "Blogger" does this. Anyhoo..."Anonymous" is much less of a pain. I've only ever listened to Bowen in my i-pod. Her books are light, as I said, but fun. Thanks for stopping by. Omigoodness, so glad to have discovered your blog! 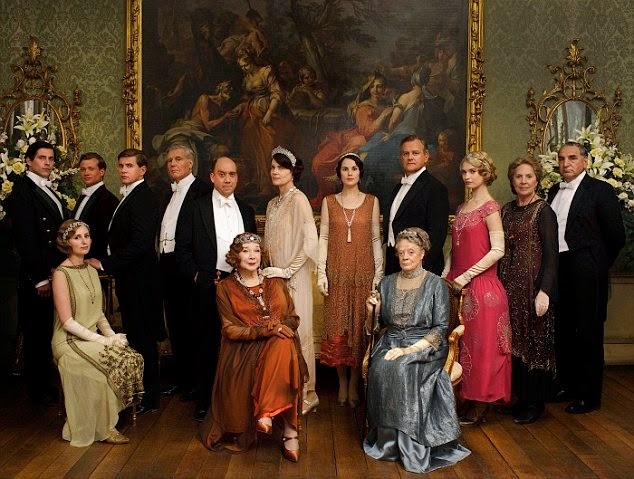 I adore the Mitfords, Jane Austen, Downton, etc. You're now on my regular reading list! Thanks Maggie. So glad you stopped by. Hi again, Susan. I have picked up "The Sisters" in bookshops over and over again for years, yet have never committed. You have tantalized me sufficiently that I will now seek it out, along with Nancy's fiction. I wonder, speaking of Things Mitford, whether you have seen the three-part BBC documentary series "Chatsworth House"? After viewing it, I found one of Debo's memoirs of life at Chatsworth at a used bookstore; however, I did not find her writing compelling--perhaps because I am insufficiently familiar with the parties involved? Perhaps I would feel differently after digesting "The Sisters." Have you read her works? BTW, I came to you through Lisa at Privilege, and am glad I have found you! 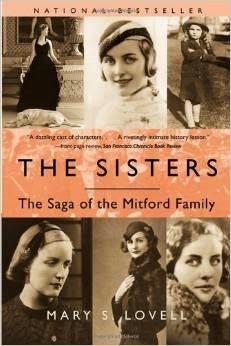 I read The Sisters first, of all the Mitford biog stuff. I started with Nancy's fiction ...since I am more a fiction than a non-fiction person. I read Debo's memoir Wait for Me a couple of years ago...and because I knew most of the story, found it really interesting. But, you're right...the style of writing isn't exactly compelling. I saw some of the miniseries...and was interested because I knew that the current Duke is, of course, Debo's son. Of all the non-fiction...though The Sisters is the best. Thanks for posting about the Mitfords! I am more of a non-fiction person so I downloaded The Sisters biography but thought I would try The Pursuit of Love in hopes of some distracting reads for upcoming flight. I love your blog. Always so fascinated by how well (and fashionable) you mix the different interests in your life. Thanks so much. Hope you like The Pursuit of Love. And thanks for stopping by.